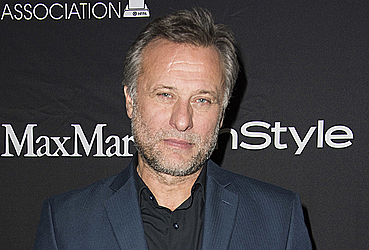 LOS ANGELES (AP) — Swedish actor Michael Nyqvist, who starred in the original "The Girl With the Dragon Tattoo" films and often played villains in Hollywood movies like "John Wick" has died. Nyqvist's representative Jenny Tversky said Tuesday that he died after a year-long battle with lung cancer. He was 56. Nyqvist is perhaps best known worldwide for originating the role of Mikael Blomkvist in the Swedish "The Girl With the Dragon Tattoo" series opposite Noomi Rapace. Daniel Craig played the role in the American adaptation. In Hollywood, Nyqvist played a broad range of memorable roles, including the mob boss who terrorizes Keanu Reeves in "John Wick" and Tom Cruise's foe in "Mission: Impossible — Ghost Protocol."